Bring together a theme of beauty and style in a room of your home with this stunning bedside table. 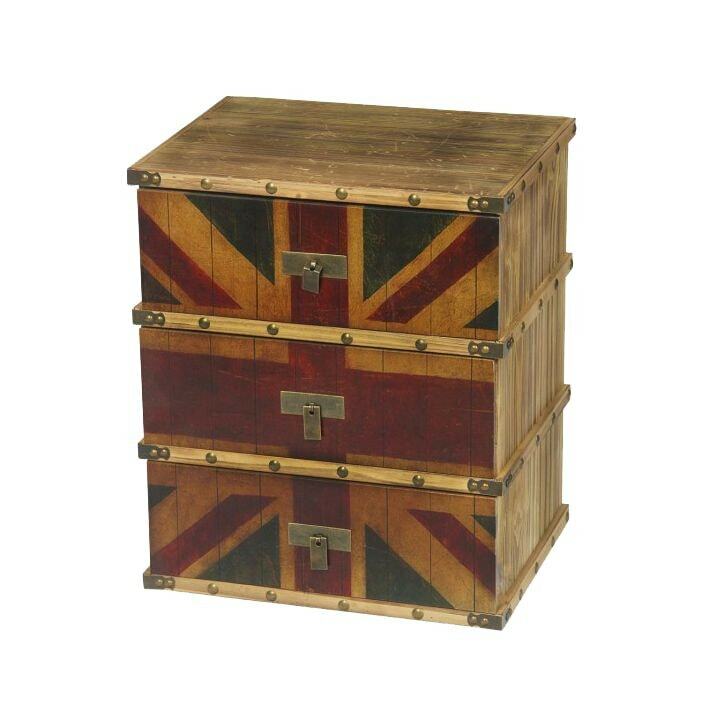 Crafted from natural wood and featuring 3 drawers with a exquisite union jack design. Sure to impress, this bedside will brighten up your bedroom in an instant.